Kerala Holidays is a family-run company that provides bespoke tailor made packages for our guests. We are committed to providing high quality tour packages for our guests that are fun, memorable and life changing. We work closely with clients to craft the perfect holiday package, ensure you get the best rates and spare no effort to make sure you leave with nothing less than the best experience Kerala has to offer. Our selection of Kerala Tour Packages include visits to humane elephant training facilities, exclusive buying excursions to various plantations, deluxe houseboat cruises, cooking lessons for traditional Kerala cuisine, and exquisite honeymoon and wedding packages. In short if you are in search of a premium quality vacation then Kerala Holidays is the only choice for tailor made experiences that will leave you with golden memories to last a lifetime. All of our travellers are spoiled with the most luxurious experience possible and we make sure that we are always on call to deliver that personal touch, with a car and local driver who will be on hand to transport you from one beautiful destination to another for your entire trip. Kerala is an Indian state boasting almost 600km of coastline which flirts with the Arabian Sea. Found on the lush Malabar Coast of India, it is best known for its elegant palm lined beaches and peaceful backwaters. This network of canals are a popular choice for couples and families wanting to experience life on a houseboat, albeit a houseboat with an unexpected touch of class. Ayurveda is an ancient Hindu system of medicine in which perfect balance in ones bodily systems is the central idea and Kerala emulates this belief with inland panoramas that some consider more breath taking than the ocean views. Older than the Himalayan Mountains, the Western Ghats are home to tea, coffee and spice plantations as well as a rich and unique collection of fauna and flora. On these slopes one finds the hill stations that were originally founded as refuges from the oppressive summer heat found in the nearby plains and valleys. They are a perfect base from which to explore one of the biodiversity hotspots of the world. It is the catchment area for the complex river system which drains almost 40% of India, and serves as the habitat for at least 325 globally threatened species of wildlife that can’t be seen anywhere else. 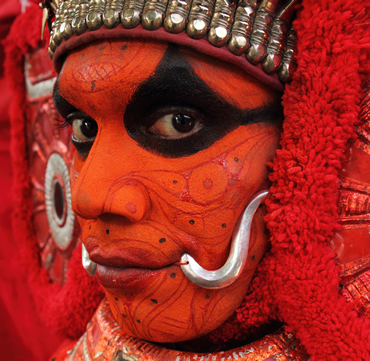 The culture of Kerala is a blend of Aryan and Dravidian cultures, developed over centuries, under influences from other parts of India and abroad. Kerala is every food-lover's paradise. 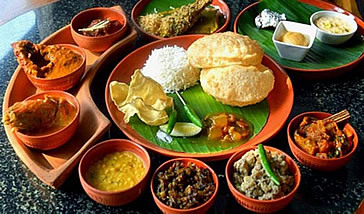 Kerala cuisine offers a multitude of dishes, ranging from the traditional sadya to seafood delicacies. Kerala is the perfect honeymoon destination and we help you plan the trip that lives up to your imagination and exceeds your expectations.